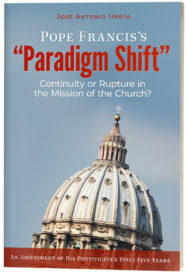 José Antonio Ureta’s book is a startling and disturbing assessment that should be read by every person who is concerned about the changes that Pope Francis is trying to force upon the Church. 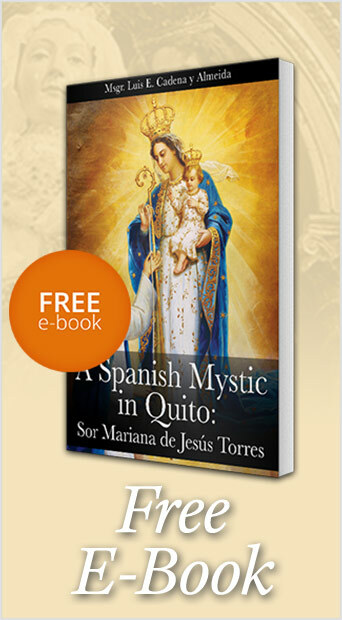 Purchase the book through this link or download it at no charge by using the link below. “Pope’s Audience With Children of ‘The Peace Factory,’” Zenit, May 12, 2015, https://zenit.org/articles/pope-s-audience-with-children-of-the-peace-factory/. Francis, Apostolic Exhortation Evangelii Gaudium, Nov. 24, 2013, nos. 59, 60, http://w2.vatican.va/content/francesco/en/apost_exhortations/documents/papa-francesco_esortazione-ap_20131124_evangelii-gaudium.html. Leo XIII teaches: “No one doubts that all men are equal one to another, so far as regards their common origin and nature, or the last end which each one has to attain, or the rights and duties which are thence derived. But, as the abilities of all are not equal, as one differs from another in the powers of mind or body, and as there are very many dissimilarities of manner, disposition, and character, it is most repugnant to reason to endeavor to confine all within the same measure, and to extend complete equality to the institutions of civic life.” Leo XIII, Encyclical Humanum Genus, Apr. 20, 1884, no. 26, http://w2.vatican.va/content/leo-xiii/en/encyclicals/documents/hf_l-xiii_enc_18840420_humanum-genus.html. 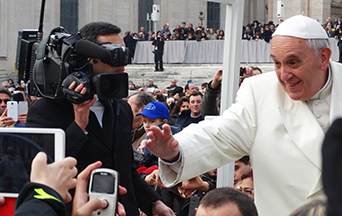 For a summary view of the origin and proposals of the Theology of the People, see João Vitor Santos, “O Papa Francisco e a teologia do povo: entrevista especial com Juan Carlos Scannone,” trans. André Langer, Revista IHU Online, no. 465 (May 18, 2015), http://www.ihuonline.unisinos.br/index.php?option=com_content&view=article&id=5919&secao=465. In recognition of Fr. Lucio Gera’s work, Cardinal Jorge Mario Bergoglio, archbishop of Buenos Aires, had him interred in the crypt of that city’s cathedral. “Juan Carlos Scannone, a Jesuit, was a professor at several Latin-American and European universities, including the Pontifical Gregorian University. He is a former dean of the San Miguel College of Philosophy and Theology of the University of Salvador. He is considered the greatest living theologian. A disciple of Karl Rahner, he actively participated in the development of the intense post-conciliar debate in Latin America.” “Prof. Dr. Juan Carlos Scannone–Argentina,” Instituto Humanitas Unisinos, Dec. 15, 2017, http://www.ihu.unisinos.br/184-conferencistas/574652-prof-dr-juan-carlos-scannone-argentina. In his interview with Dominique Wolton, Francis explains the difference: “In the 1980s there was a tendency toward a Marxist analysis of reality, but later it was renamed ‘theology of the people.’ I do not really like the name, but that is how I got to know it. To go with the people of God and do the theology of culture. There is a thinker you should read: Rodolfo Kusch, a German who lived in northeastern Argentina, a very good philosopher and anthropologist. He made me understand one thing: The word ‘people’ is not a logical word. It is a mythical word. One cannot speak of people logically because it would only be a description. To understand a people, to understand the values ​​of this people one must enter into the spirit, the heart, the work, the history and myth of their tradition. This point is truly at the basis of the theology called ‘of the people.’ That is to say, to go along with the people, to see how they express themselves.” Wolton, Politique et société, 47–8. Commenting on this passage, Vatican analyst Sandro Magister adds an interesting point: “Kusch took his inspiration from Heidegger’s philosophy to distinguish between ‘being’ and ‘dwelling,’ describing with the first category the rationalistic and domineering vision of Western man and with the second the vision of the indigenous Latin American peoples, in peace with nature and animated by none other than a ‘myth.’” Sandro Magister, “The Myth of the ‘Pueblo’: Francis Reveals Who Told It to Him,” L’Espresso–Settimo Cielo, Sept. 18, 2017, http://magister.blogautore.espresso.repubblica.it/2017/09/18/the-myth-of-the-pueblo-francis-reveals-who-told-it-to-him/. This entry was posted in Catholic Perspective and tagged classless society, egalitarianism, equality, Gramsci, hierarchy, inequality, liberation theology, Marx, Paradigm Shift, Peron, Pope Francis, Pope Francis’s “Paradigm Shift”, social class by José Antonio Ureta. Bookmark the permalink.